Barth has been operating in the interior furnishing sector for four generations. Although the company was initially renowned for its wood craftsmanship, barth was not afraid to incorporate other materials such as glass and stainless steel in its projects. The company has always been prepared to take risks, acquiring expertise in the use of the most varied materials and technologies and implementing an increasingly larger scale of challenging projects. 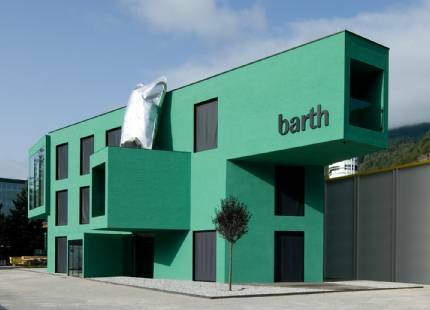 As a result, architects began to notice barth’s work in the early 1990s seeking the collaboration with the company. Today, barth is active on an international level engaging more than 60 employees.